TBT: Oakland 91 With A Gift For Your Upcoming Travel!!! I stepped off of the plane after the cross country flight filled with anticipation, excitement and this tremendous sense of wonder about what new adventures and revelations the week ahead was holding for me. Being much younger and abundantly more of an outlaw and renegade back then, I got to my rent a car and began peeling off the Elbow of vacuum packed, kind organic magic broccoli squares off of my body. One of those moments when you feel like Mission #1 is complete. I got here without getting arrested! As we pulled away in the car, broccoli blazin, we turned on the radio to immediately hear the news that Bill Graham was killed in a helicopter accident. The bright colors of upcoming expectations left us immediately as the grey heaviness of the moment smacked us squarely in the heart. We cried… We pretty much were just starting to feel a little better after Brent’s untimely passing. There’s something about recognizing the impending infinite absence of someone that leaves unexpectedly that just seems to hurt more than those you saw coming… With no way to escape from the sunken feeling we all began to wonder if the Halloween Run would be cancelled. It’s overwhelming how fast unbridled joy can turn into something exactly its opposite. On October 27, 1991 the entire weight of the West Coast Music World sat directly on the shoulders of the band that changed musical history and delivery forever, with the help of Bill Graham. It was almost as if he scheduled the band that would perform at his funeral. The mood was hushed and the sorrow that filled the air was thicker than tar. We didn’t know if we should play volleyball or sit quietly as if at a wake. In hopes of behaving properly and to be certain that conduct would be appropriate given the moment, we tried hard to act in a way we weren’t accustomed to acting… Refrained… Reserved… Pensive… On that night, it seemed as though it took a year and a half from when we entered the Coliseum until the lights finally went down. What would happen next… How was everybody gonna pull this off??? I wrote about this because it was such a deeply embedded memory and I know many of us will be doing a lot of travelling in the next couple of weeks. I wanted to give everybody a gift, that doesn’t already have it in digital format. A great way to spend several hours of listening time without having to hear a single repeat. Here y’all go!! 4 Nights of downloadable gems for your trip!! Travel Safely!!! Can’t wait to see you on the Road of Life!!! We’re ALL Getting In!!!!!!!! EVERY Night!!!!!!!! This entry was posted in Flashbacks, Grateful Dead, Fare Thee Well and tagged Bill Graham, Bill Kreutzmann, Bob Weir, Chicago, Fare Thee Well, Grateful Dead, Jerry Garcia, Levi's Stadium, Mickey Hart, Oakland Coliseum, Peter Shapiro, Phil Lesh, Santa Clara, Soldier Field on June 25, 2015 by Dean. I needed to read this…downloading immediately!!! 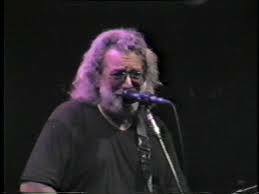 Funny, i turned 24 on the third night they played, 10/30/91…and hear I am on the eve of 50 celebrating their 50th anniversary! Sorry about that… I Love Jeff!!! Soooooooo glad he’s part of the band!!! Yes, I remember that Bill’s death hit us hard as well. It was so unexpected and saddening for me.